Most of web pages are created from HTML files. When we read web page information through internet we can freely enjoy different content. But when we go out and without internet, HTML files become not as convenient as we want. However, most of portable multimedia devices such as iPad, iTouch, PSP, Zune, Cell Phone and many MP4 players enable users to read image content. So, we can convert HTML to image so that when we go out we can continue reading the HTML content. There are some file format converter can convert files from HTML to Image. However, this post will show you convert HTML with C#/VB.NET. And with Spire.Doc, a professional .NET Word component, we can do this with a few simple steps. Create a C#/VB.NET project in visual studio add Spire.Doc.dll as reference. The default setting of Spire.Doc.dll is placed under “C:\Program Files\e-iceblue\Spire.Doc\Bin”. Select assembly Spire.Doc.dll and click OK to add it to the project. We need load the HTML which we want to convert to image. The code below can help us do it effortlessly. Spire.Doc presents the easiest way to convert HTML to image. The following code can help users easily save HTML files to image format. Spire.Doc enables users to convert HTML to BMP, JPEG, PNG, GIF, Tiff and other popular image format. 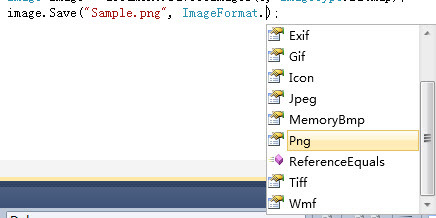 Press F5 to start the project and we can find the image in the project folder, bin ->debug. Spire.Office for .NET is a compilation of every .NET component offered by e-iceblue. It includes Spire.Doc, Spire.PDFViewer, Spire.XLS, Spire.PDF and Spire.DataExport. Spire.Office contains the most up-to-date versions of the components above. Using Spire.Office for .NET developers can create a wide range of applications. Add a header/footer in Word document can make the document easier to navigate and more professional appearance. The information of header/footer varies from one document to another. Despite what some users think, the information can be document title, chapter titles, page number, number of pages, date of creation, creator, date last saved, filename, or pathname. If you do a great job on Word header/footer, no matter you add a simple page number or go fancy by adding custom fields, you can give your readers relevant information about the document through header/footer. These instructions below are created for C# developers. In this article, we will introduce how to use C# to add a header/footer in Word document. Spire.Doc, a professional .NET Word component, can help us do this job perfectly. With the help of Spire.Doc, we will do the 4 jobs below. Download Spire.Doc and install on system. Follow the steps below to add a header/footer in Word document. Spire.Doc allows users to create Word document and edit at will. 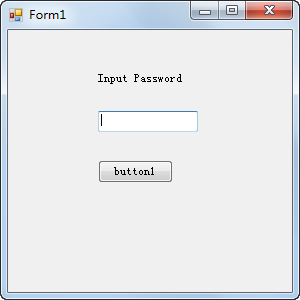 We can also use document.LoadfromFile method to load exist Word document. If we create a new Word document via Spire.Doc, we can write in some content into the document. Then, we can design header/footer content at will. Spire.Doc allows users to set position, text style, etc. 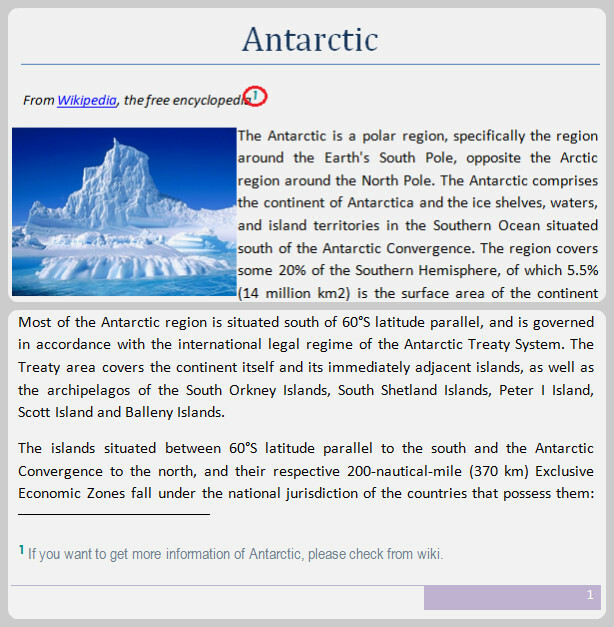 Page number usually is placed in the footer of a document. 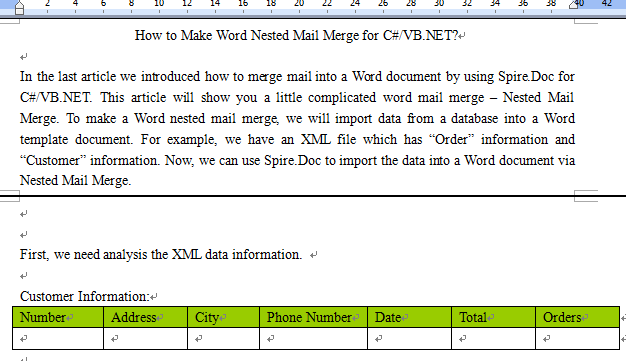 The guide below will show you how to use Spire.Doc add page number in Word footer. Spire.Doc enables users to add image into Word header/footer. 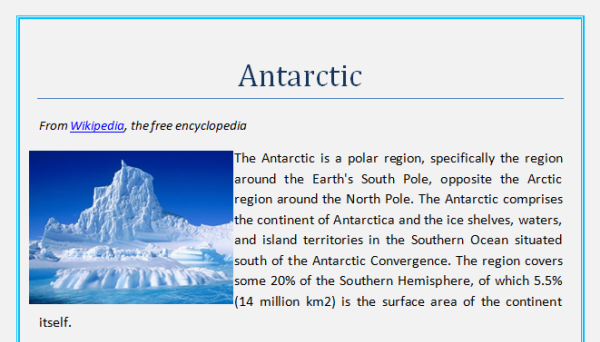 The sample below is showing you how to add image into Word header/footer. 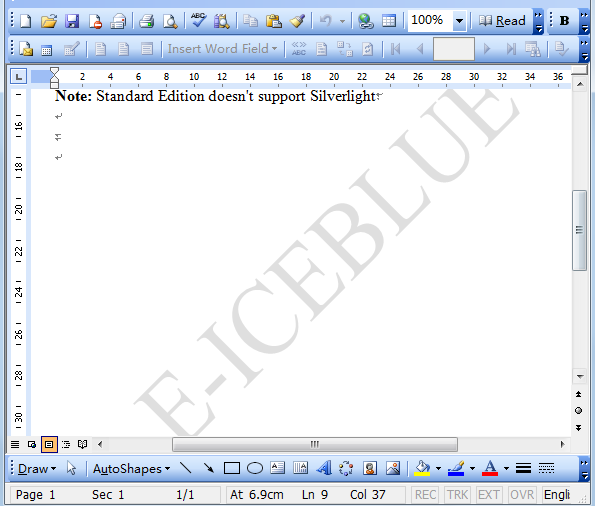 As a powerful .NET/Silverlight component, Spire.Doc enables users to set Word header/footer borders. After you embedded an image into a Word document, you will find that image becomes part of that document. It's not easy to extract image from Word document to re-use. Microsoft office does not provide any easy to use option to perform such action. Even you do your best and get the image out you may cry because it has lost all sorts of quality. However, extracting image from Word for re-use is not insurmountable. If you happen to have problems on extracting images from Word document, follow this post to extract the image as its full resolution. This solution requires some basic programming skills. With the help of Spire.Doc, a powerful and all-in-one .NET component, we can do this job effortlessly. Download Spire.Doc and install on system. Follow the simple guide below to extract image from Word document now. Put the Word document into the project folder. Use the code below to load and open in the project. There are 3 steps to extract image from Word. First create a queue and then put the document objects in the queue. At last judge the object type. Spire.Doc allows users to extract image from Word document and save as popular image format such as PNG, JPEG, BMP, Tiff, etc. Press F5 to start the project and the image will be extracted from Word document. We can find it in project folder bin -> debug. Even though most of people share more documents electronically than we print, MS Word document is still the hottest tool for designing content around paper documents. MS Word documents can still work great for sharing with others and distributing online, and it often can be better to save your files in an eReader friendly format. PDF is another choice for sharing but on some eReader devices like Nook, Kindle and Sony Reader it doesn't look nice. And, it takes up valuable space on Netbook or iPad. As a new standard for eBooks, EPUB (stands for "electronic publication") is the accepted standard format for digital book publishing. EPUB is designed for reflowable content in which the text display can be optimized for the particular display devices. Because of its special features, it superseded the Open eBook standard. 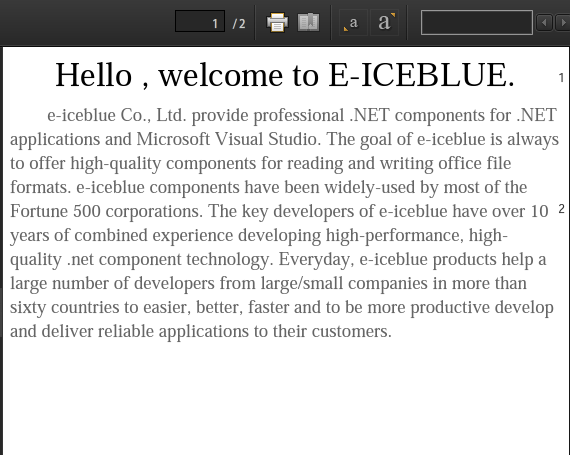 And through Spire.Doc, developers can easily make ePub from Word document. 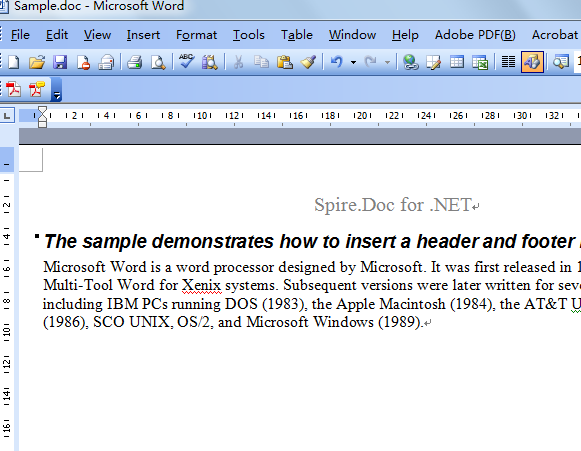 Spire.Doc is a .NET Word component which enables developers use C#/VB.NET convert Word Doc to ePub with a few clicks. Download Spire.Doc and make sure Spire.Doc and Visual Studio are correctly installed on system. Follow the simple instruction below to convert Word Doc to ePub. Create a C# or VB.NET project in Visual Studio and add Spire.Do.dll as reference. The default setting of Spire.Doc.dll is placed under "C:\Program Files\e-iceblue\Spire.Doc\Bin”. Select assembly Spire.Doc.dll and click OK to add it to the project. Spire.Doc allows developers to create Word document or directly load an existed Word file. 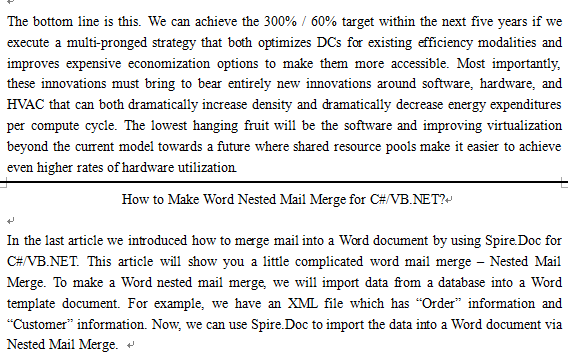 Spire.Doc supports Word 97, Word 2003, Word 2007 and Word 2010. To convert Word to ePub, we can easily use the following code. Besides converting Word Doc to ePub, we can also use Spire.Doc to convert Word Doc to PDF, XML, HTML, RTF, Dot, Text, etc. After finish the code above, press F5 to start the project. Then, the ePub document will be generated under the project bin->debug folder.